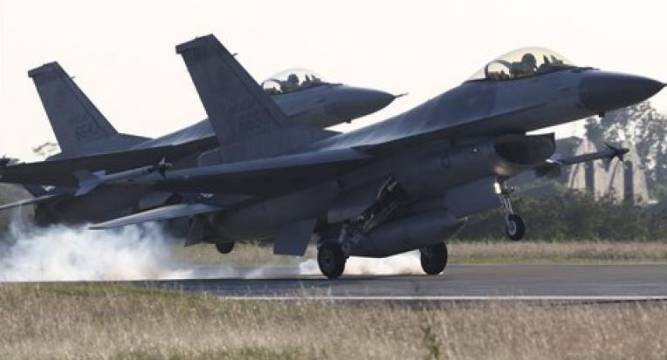 The Obama administration today notified the US Congress of its decision to sell eight F-16 fighter jets to Pakistan worth nearly USD 700 million, notwithstanding American lawmakers’ demand for stopping the proposed sale. Despite mounting opposition from influential lawmakers from both the Republican and Democratic parties, the US State Department notified the Congress that it has made a determination approving a possible Foreign Military Sale to the Government of Pakistan for F-16 Block 52 Aircraft, equipment, training, and logistics support. The estimated cost is USD 699.4 million, the Defence Security Cooperation Agency a wing of the Pentagon - said in a statement, adding that this proposed sale contributes to the US foreign policy objectives and national security goals by helping to improve the security of a strategic partner in South Asia. Asserting that this will not alter the basic military balance in the region, the Pentagon said the proposed sale improves Pakistan’s capability to meet current and future security threats. These additional F-16 aircraft will facilitate operations in all-weather, non-daylight environments, provide a self-defence/area suppression capability, and enhance Pakistan’s ability to conduct counter-insurgency and counterterrorism operations. “It will increase the number of aircraft available to the Pakistan Air Force to sustain operations, meet monthly training requirements, and support transition training for pilots new to the Block-52. Pakistan will have no difficulty absorbing these additional aircraft into its air force,” the Pentagon agency said. “This notice of a potential sale is required by law and does not mean the sale has been concluded,” said the Defence Security Cooperation Agency. Speaking on condition of anonymity, a State Department official defended the decisions of the US Government. “We strongly support the proposed sale of eight F-16s to Pakistan. This platform will support Pakistan’s counterterrorism and counterinsurgency operations, and has contributed to the success of these operations to date,” the official said. “Let me be clear, before any arms transfer we take into account regional security and a range of other factors. We believe our security assistance contributes to a more stable and secure region,” the official said when asked about India’s apprehensions that this F-16 would finally end being used against it. “The US does not view its security cooperation in the region in zero sum terms our security relationships with Pakistan, India and Afghanistan are distinct, but each advances US interests and regional stability,” the State Department official said. Obama administration’s notification to the Congress comes amidst mounting opposition from lawmakers. Early this week, Senator Bob Corker wrote to Secretary of State John Kerry that he would put a hold on any such decision. Two days later, the State Department notified to the Congress its intention to sell F-16 to Pakistan. While the Congress has 30 days’ time to act on it, senior administration officials exuded confidence that the sale would be approved by the lawmakers.